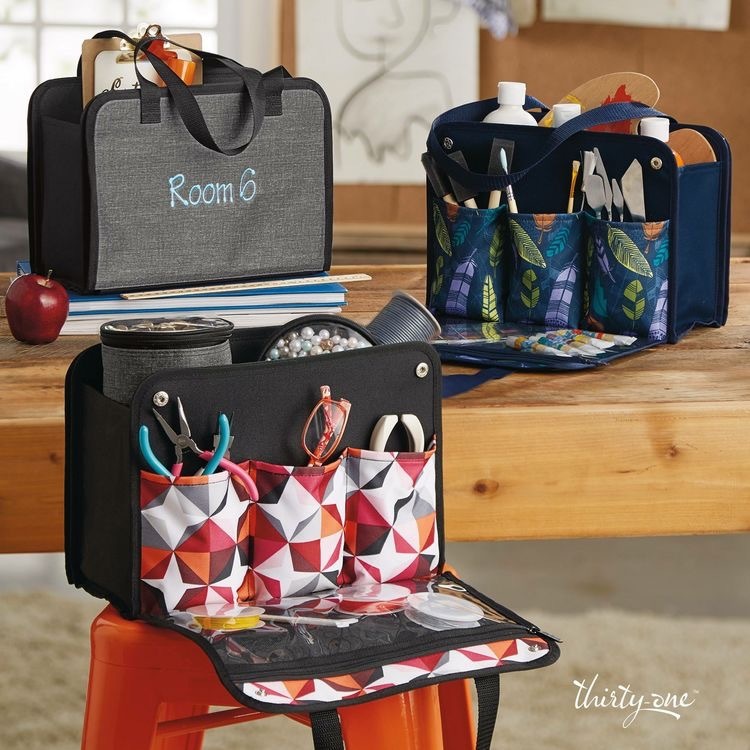 Let’s Get Creative with Thirty One! 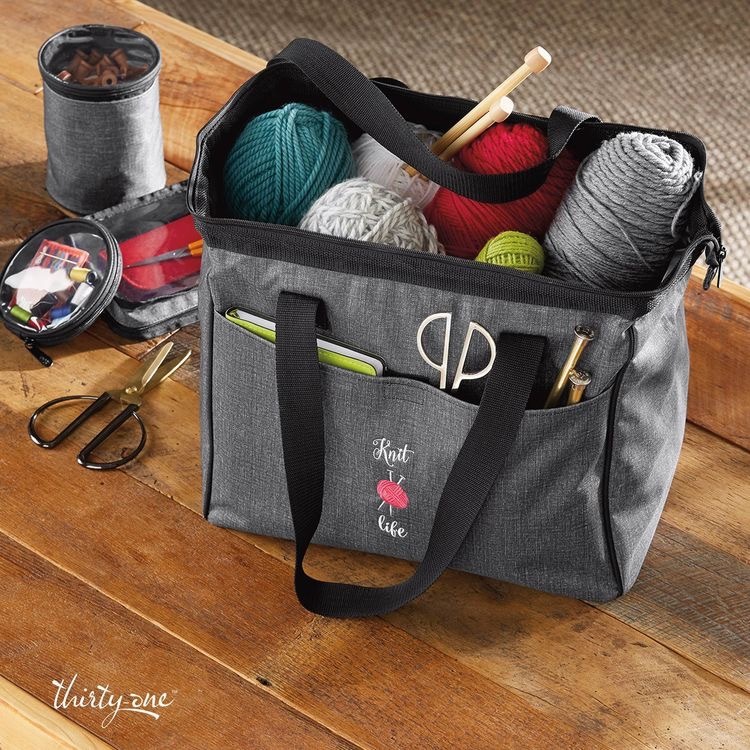 This 2018 fall season has brought a new line of creative products from Thirty-One. The products range in size from the smallest “Creative Case” to the largest (and a hostess exclusive) the “Creative Crate”. The two middle sizes are the “Get Creative Caddy” and the “Get Creative Carry-All”. 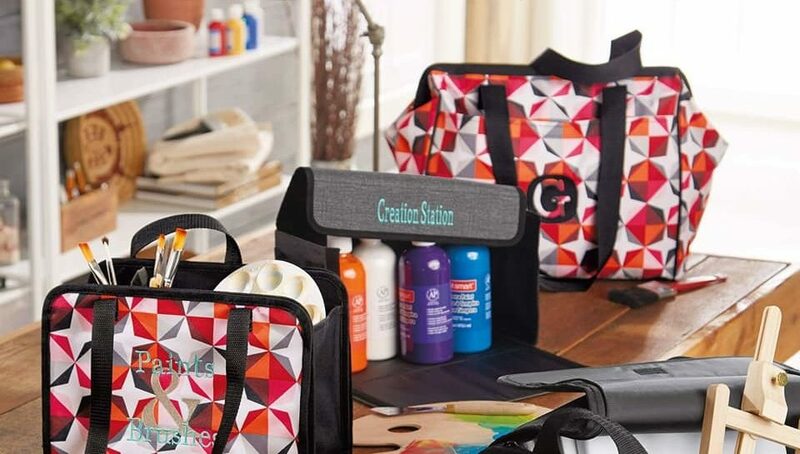 Thirty-One has also added a line of small organizing products to be added in with this creative line. Out of the items in the creative line I personally have the Get Creative Case and Get Creative Crate. 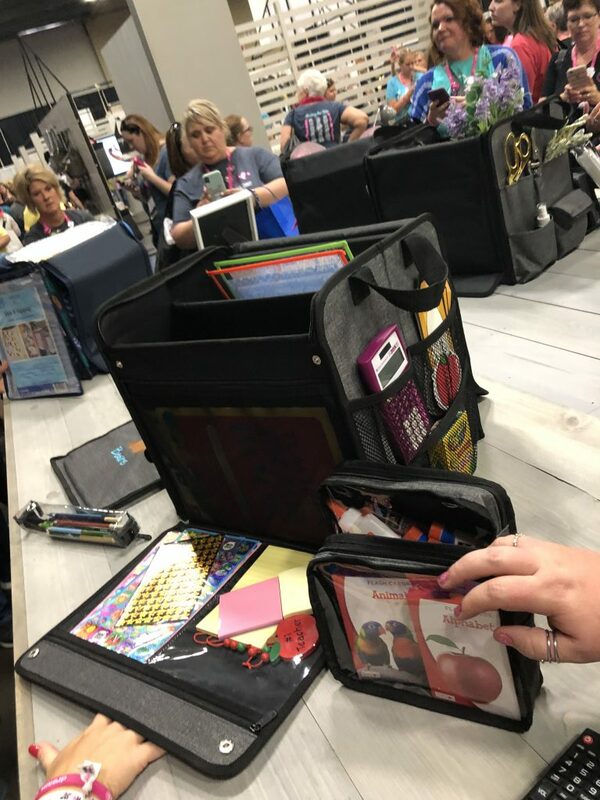 The Get Creative Case is an all Velcro box with a closing lid that is for smaller collections of crafting or other items. This case is perfect for smaller amounts of supplies such as nail products, make up, oil pastels or paints. You could also use this product as a traveling carrier for a specific project. During conference, I was able to see this case used for a hot tea collection, which I thought was a really innovative way to get organized. The Get Creative Caddy is an open top style that mirrors the size of the get creative case. It has these really cool fall down snap at the top panels that allow lay-flat snap-pockets for additional organization. It also has longer handles for carrying more like a purse or bag. This type of Get Creative product is amazing for lots of small tiny pieces such as beadwork or painting. It also makes for a really great organizing work bag, the examples shown are for teachers and nurses. Although I do not have this particular caddy in my collection, it will definitely be next on my list. The Get Creative Carry-all is a duffel style larger bag that can zip close completely at the top and has longer handles for caring like a purse. The bag can also be used with the zipper top completely open in a long rectangle type shape. One side of the bag has a large pouch across the entire side, while the other side has smaller pouches for more organization. The example shown in our catalog is it being used for knitting and baking. However this bag is so versatile it could be used for anything. The bags and carries in the new Get Creative Collection are finished off by our hostess exclusive Get Creative Crate. Our Get Creative Crate is a sturdy square box with zipper, Velcro and snap closures. It can zip completely closed. This crate can hold a lot of materials. It also has tons of organizational pockets on each side. All of the Get Creative Cases, Caddies and Crates can be personalized to give the owner that extra special touch on their product. Creative Crate – Thirty One – Hostess Exclusive! Another amazing addition to this line is our kit customization products. The products include a Get Creative Slim Pouch, Cylinder, Rectangle Pouch, Round Pouch and Sleeve. These items can be purchased separately or at a discounted bundle price. I own three of these products the cylinder, the round pouch, and the rectangle pouch. They are made of high-quality plastic and Thirty-One’s amazing utility fabrics. 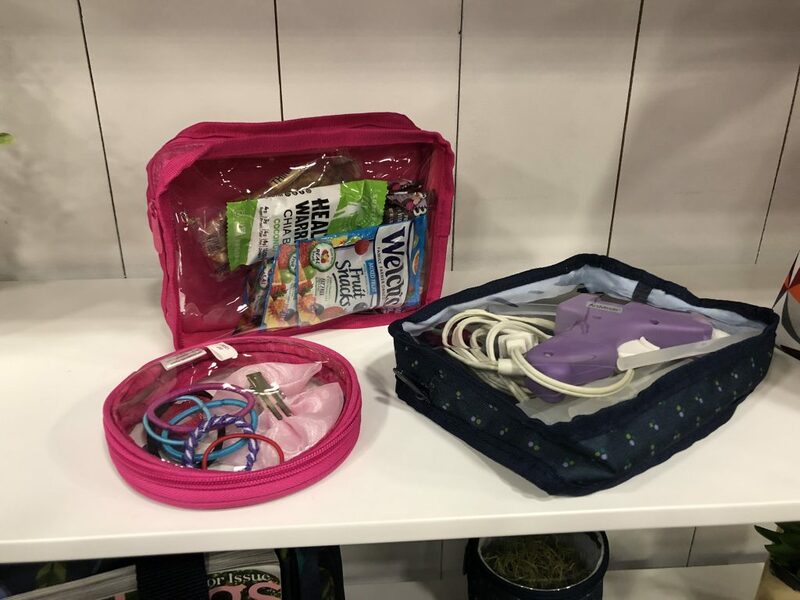 The zippers are extremely sturdy and while these items are smaller and for organizational needs, they can definitely hold a lot. In conclusion I feel that this line is going to be awesome for all of our DIYers, Pinterest moms, and those that love to be organized. 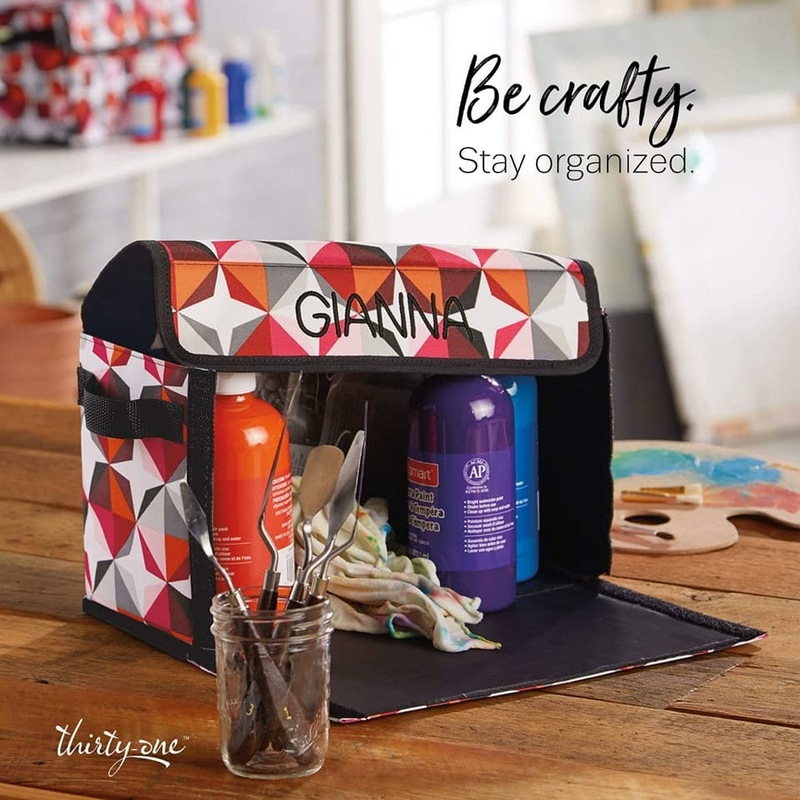 While the Get Creative Line is different from Thirty-One’s normal bags and totes, I believe these new products fit-in seamlessly. They are designed to store and keep your life organized, while still being adorable!